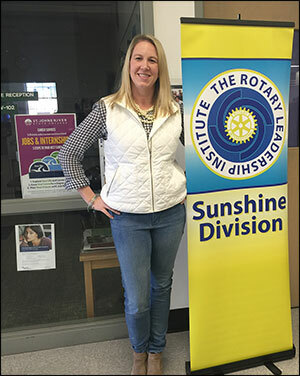 Associate attorney Kayla Hathaway with Rice & Rose Law Firm in Daytona Beach attended the Sunshine District Rotary Leadership Institute on February 20, 2016. The event took place in Orange Park near Jacksonville from 7:30 AM to 4:00 PM. The event is for Rotarians from the district to come together to learn about Rotary and sharpen leadership skills.